A life that is going well might be the most threatening thing we know. In “Accepted Wisdom,” a man congratulates himself on putting his life together after his wife throws a teapot at his head and leaves him. Only much later, maybe too late, does he see the ruinous choices his teenage daughter has been making while he’s been assembling his new life. “Carefully crafted, finely tuned, the 11 short stories in this collection often examine subtle shifts in family relationships." And in “Until It Comes Closer,”a young woman, born without arms or legs as a result of her father’s exposure to Agent Orange in Vietnam, sets out with her sister to find true love. She succeeds, leaving her sister able bodied, free, and keenly alone for the first time in her life. 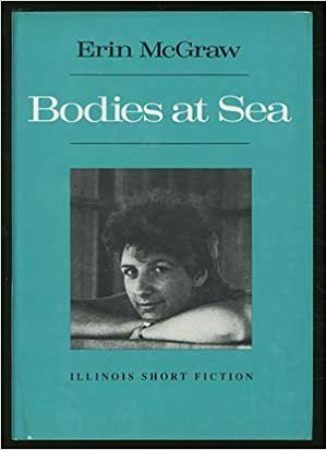 This volume, McGraw’s first, charts lives that are, as the title promises, at sea. Its characters feel alone even when they’re in clamorous rooms, and the choices they make are strange, sometimes frightening, and reminders of the full dangerous and dazzling potential of human existence.